Introducing new ideas and methods. Next time it would be worth trying a pukka-detox-cheese-cake. If a cheese cake could ever be a detox cake.. quite an oxymoron, I have to say. WOW! Mrs M is getting intellectual today. 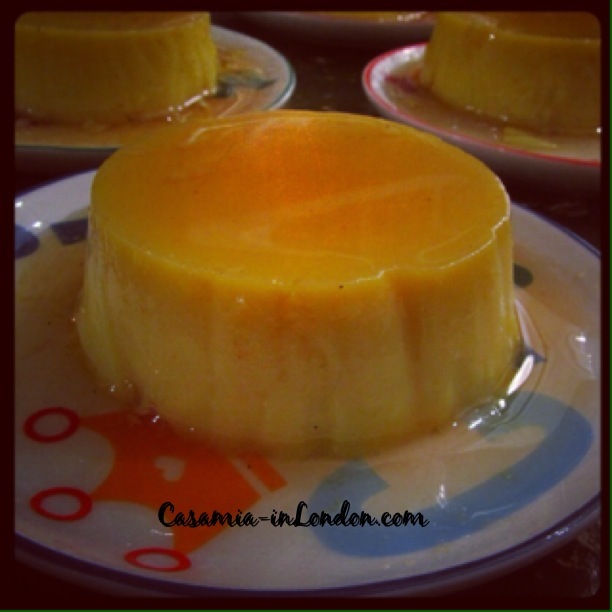 To go back to the start – I love that song, Scientist, by the way – and to make things easier for today, I am going to share this nice crème caramel recipe. It comes from our family. It might not be anything very different and it is not experimental for sure. Put 250 gr of sugar with around 50 ml of water in a saucepan. Stir it just once to mix everything together thoroughly and then cook it over medium heat until it turns a medium caramel color. (if you use a termomether is at around 165°). Limiting the amount that the mixture is stirred during cooking helps guard against recrystallization, so don’t stir it too much. At the same time, you want to keep an eye on it because if you overcook it – it will lose sweetness in flavour. To get to the caramel state, let it go until it’s a deep amber colour — it’s done when it starts to smoke and begins to foam just a little bit. Once you get there you have to be very quick. At this point, remove it quickly from the heat and put the saucepan into a cold/iced water pot. This way you halt the cooking. Remove it for the heat and quickly pour the caramel into the soufflé dishes. 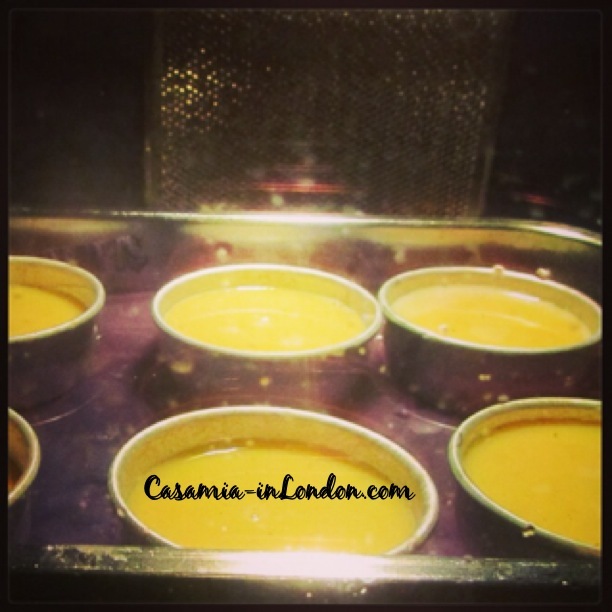 It can be a big whole mould or those small little pots typical for crème caramel. Make sure you tip it round the base and the sides to coat. Put the pots on the side to cool down. Turn the oven on at 150°. Pour the milk into a saucepan with half of the remaining sugar (it should be 62 gr more or less) and the vanilla seeds (having scraped the seeds out of the vanilla pod already). Place this over a gentle heat to melt all the sugar. Do not bring it to boil. Break the eggs in a bowl, add the egg yolks and top up with the egg whites until you get to 250 gr of egg mixture all together. Add the sugar left (approx. 61 gr) and whisk the eggs mixture with the sugar until nice and pale. Now pour the tepid milk into the eggs mixture, little by little, and whisk it. 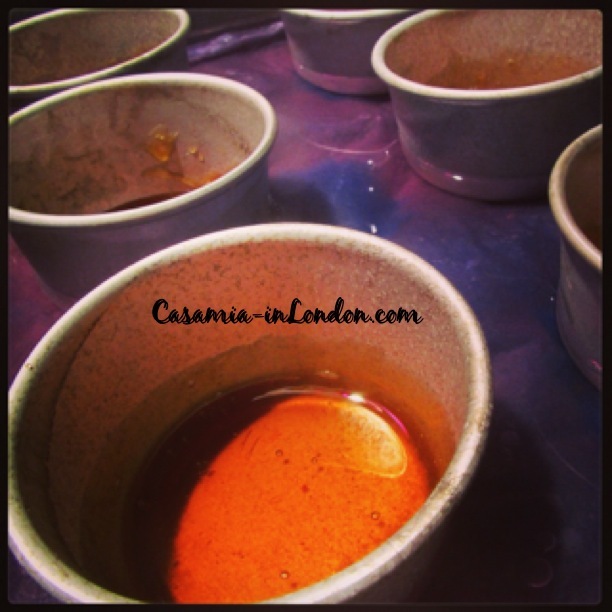 When you have added all the milk to the eggs, pour the whole lot through a SIEVE into the caramel-lined little pots. Now place the pots into a roasting tin and pour in enough water to come to two thirds of the way up the pots. Place some paper under to pots to avoid direct heat. Bake them into the pre-heated oven and leave it there for 25/30 minutes, until the custard feels in the centre firm and springy to the touch. Then remove it from the oven and when they are completely cold, cover with cling film and chill thoroughly for several hours in the fridge before serving. The best would be at least 4 hours, to have a nice moisture. When you’re ready to serve, loosen it around the sides with a palette knife, turn the pot upside down and leave it to rest for a while to set. Then remove the pot and serve it.